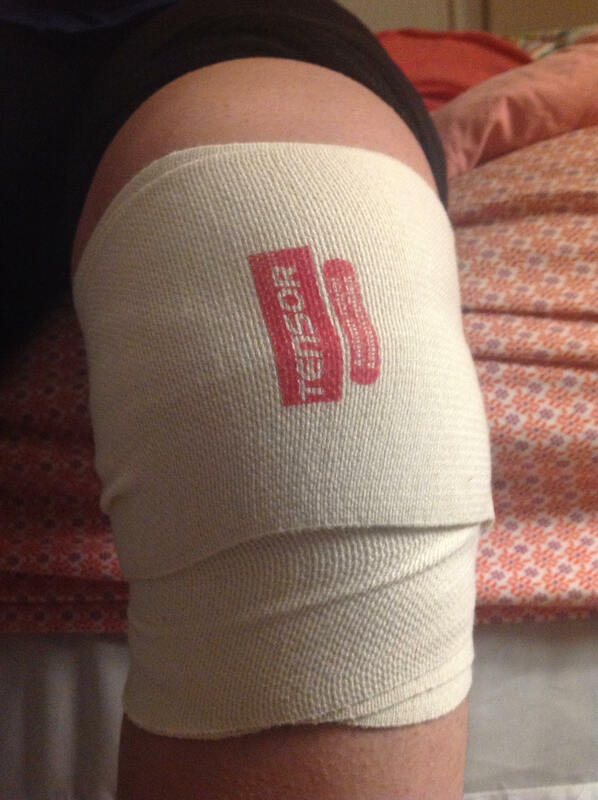 I was just playing basketball when I sprained my knee last week on Saturday. This is my first actual injury in the course of 4 years of playing. And I got to say, what happened still remains as bizarre to me. I was jumping in mid air as I felt a force knocking me hard at the side of my knee. (And the weirdest thing is nobody was even around me). So, what happens now? The MRI machine can basically create detailed images of my knee using strong magnetic fields and radio waves. And from that, clinicians can diagnose the type of knee sprain I have and come up with solutions. 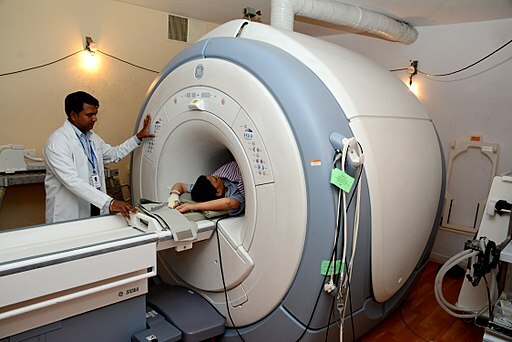 MRIs are more commonly used for spotting cancer tumors, cysts and other anomalies within the body. I haven’t got the chance to visit a physiotherapist yet, and my MRI appointment is not until another week. So I decided to learn a little bit more about all the types of knee sprain and try to see which one might be in my case. Hopefully, that would also help me to understand better about what really happened. There are four main ligaments in the knee that can be sprained: Medial Collateral, Anterior Cruciate, Posterior Cruciate and Lateral Collateral. The medial collateral ligament (MCL) is a supporting ligament that runs from the lower inside of the thighbone to the upper inside of the shin. Injury occurs when stress or force is applied to the outside of the knee, when it is still bent or pivoting. The anterior cruciate ligament (ACL) is one of the main ligaments that help stabilize the knee by preventing the tibia (shin-bone) from sliding forward in relation to the femur (thigh-bone). It attaches to the knee at the bottom back of the femur and crosses diagonally through the knee joint to attach at the upper part of the tibia. ACL injuries tend to happen while the athlete is twisting, jumping, cutting and quickly stopping or decelerating. 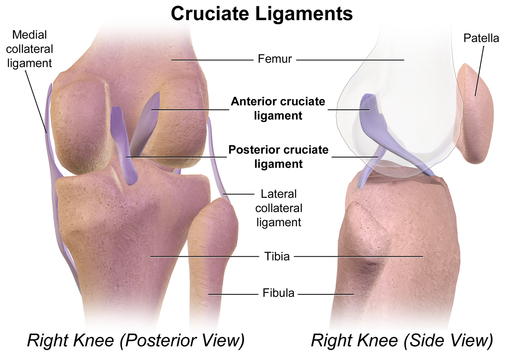 The posterior cruciate ligament (PCL) is the other main ligament that helps to connect and stabilize the knee. PCL injuries are often caused by direct contact and are very uncommon. Some cases that might result in this particular injury are falling with a bent knee, twisting or hyperextending the knee. The lateral collateral ligament (LCL) runs alongside the outside of the knee: from the bottom of the thighbone to the top of the lower leg. While the LCL helps stabilize the knee, it is also prone to injury. LCL injuries happen through direct contact to the inner knee, twisting or repetitive actions over time. Out of the four types, I find my sprain to have the most relations to an ACL injury. The ligament must have pulled due to the sudden contraction when I stretched out my leg during the jump. Furthermore, ACL injuries are common in basketball, especially with female athletes. So, it’s likely that this might be the same in my case. But then again, I’m just making predictions based on the existing info that I have. I don’t really know for sure until the MRI results are back. I thought it was a great idea to do this blog post because I really wanted to understand more about what I might be going to deal with for the next period of time. As an athlete, I felt like I haven’t put enough thoughts into all the concepts of medical and health issues involving in playing a sport. So doing this blog post definitely helps me to be more aware of that. Getting injured definitely isn’t my ideal start to the new season of basketball. But hopefully, with a lot of rest, icing and full attendance to my physio sessions, I might be able to hit the court soon again.